CCSS.ELA-LITERACY.W.4.1 - Write opinion pieces on topics or texts, supporting a point of view with reasons and information. 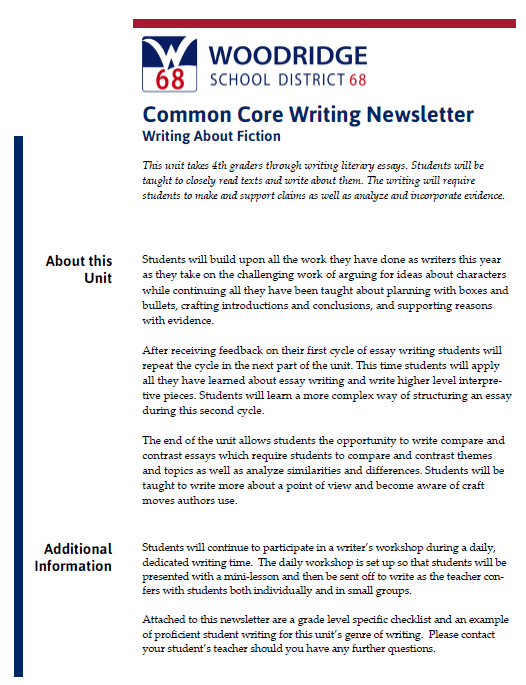 CCSS.ELA-LITERACY.W.4.1.A - Introduce a topic or text clearly, state an opinion, and create an organizational structure in which related ideas are grouped to support the writer's purpose. CCSS.ELA-LITERACY.W.4.1.B - Provide reasons that are supported by facts and details. CCSS.ELA-LITERACY.W.4.1.C - Link opinion and reasons using words and phrases (e.g., for instance, in order to, in addition).